This far-reaching two and a half hour long bus tour will help you get familiar with Madrid. You will visit the most important avenues, squares buildings, learn about their history from the old quarters of the Hapsburg and Bourbon Royal Families to Madrid of today. Once you get to Plaza de Colón.. Continue on to Paseo de la Castellana, Stadium of Real Madrid, Santiago Bernabeu, Plaza de Castilla and Cibeles Fountain. 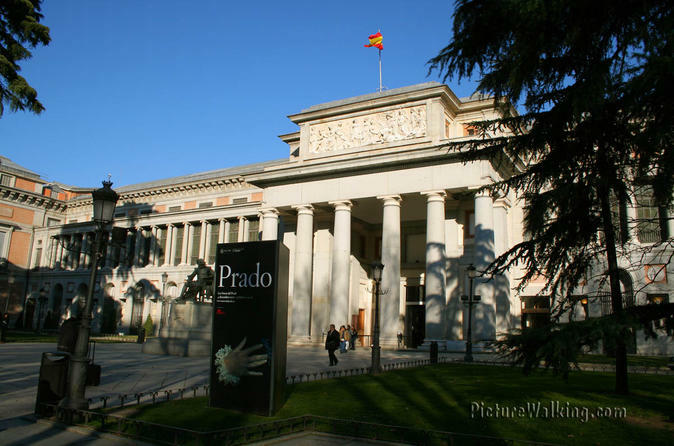 Upgrade to include skip-the-line access to either El Prado Museum, Reina Sofia Museum or Thyssen Museum (select option at booking).